This is as high-energy as it gets. When we stepped into El Corazon in early October for The Interrupters show, we knew that good times were on the horizon. Not only was our favorite ska-punk group headlining, but the other two acts on the bill, Hilltop Rats and Bad Cop / Bad Cop, meant three-times the energy was headed our way. Tacoma-based group, Hilltop Rats, kicked things off, performing to an impressed crowd with their positive, yet light-hearted set. Self-described as “five guys fueled with cheap beer, tequila shots, and way too much energy making punk rock,” these punk rockers lived up to the hype, setting the tone for the night. Bad Cop / Bad Cop were up next, who joked with the audience as they walked onstage, encouraging "onlookers" and fans alike to come in closer. Aside from showcasing their seamless blend of aggressive instrumentation and crisp vocals, the LA-natives carried on for the duration of the set with smiles illuminating their faces, which proved to be contagious on members of the audience. 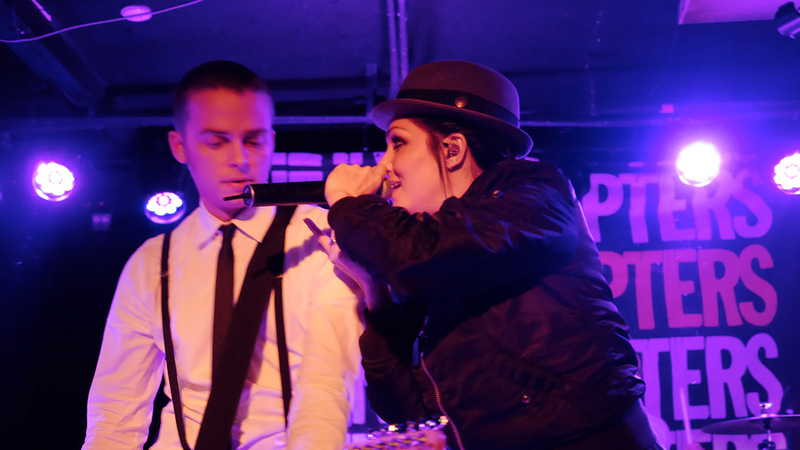 Dedicated fans of The Interrupters in Seattle had been waiting years for the Los Angeles-based four-piece to headline a show in their city, so when they graced the stage it was obvious they were being welcomed with open arms. When frontwoman Aimee Allen, guitarist Kevin Bivona, bassist Justin Bivona, and drummer Jesse Bivona took to the stage, they immediately kicked things off with a bang. The three siblings led by Aimee "Interrupter" have an undeniable chemistry that one can't fully understand until it's experienced live. The foursome performed songs off their self-empowering sophomore album, Say It Out Loud, as well as some material from their self-titled debut album, giving fans exactly what they'd been waiting for. Check out photos from the unforgettable night below, and don't forget to track The Interrupters on Bandsintown so you never miss them when they come to a city near you."